Yet again Google has got its way with the Justice Department. Google has been given the green light by the Justice department to finish off its $700 million acquisition of flight-data company ITA software which is also used by almost all the travel search engines including orbitz, travelocity and others. The deal took a while to go through because other companies such as Microsoft, Expedia and Kayak feared that Google could use its leadership in the search industry to direct traffic to its own offerings. The companies tried to argue that Google could step over the competition because almost all of the travel sites depend on ITA to power their searches. The Justice Department however gave the go-ahead with many changes. Google has agreed to a variety of Government conditions to prevent anti competitive behavior from happening. Wall Street Journal reported that a department that will monitor the company to ensure that no anti-competitive behaviors occur with the company. 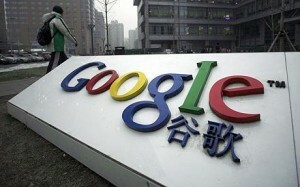 Google has also been ordered to continue to fund, research and make available a next generation service. ITA was working on this and the Justice Department wants this completed along with placing internal firewalls which will prevent unauthorized use of personal and sensitive information. But will Google follow these strict guidelines, considering they have an army of attorneys? Internet Travel Doomed? Google racing to buy ITA! Previous Steve Jobs Biography Coming Soon! Next Kinect SDK For Windows Coming in Spring!